Author/Consultant Ron Potter has a great blog you should read… His recent post has pertinent implications for social media. Social media is a great place to catalog life, communicate with the reaches of the universe, and re-connect with old friends. For authors and companies, it’s become a powerful tool to connect with readers/customers. And it enables dialogue. Social media has allowed a shift where authors and companies can dialogue directly with the consumers of their products. We often use this word interchangeably with ‘discussion’… Ron defines well the difference below. 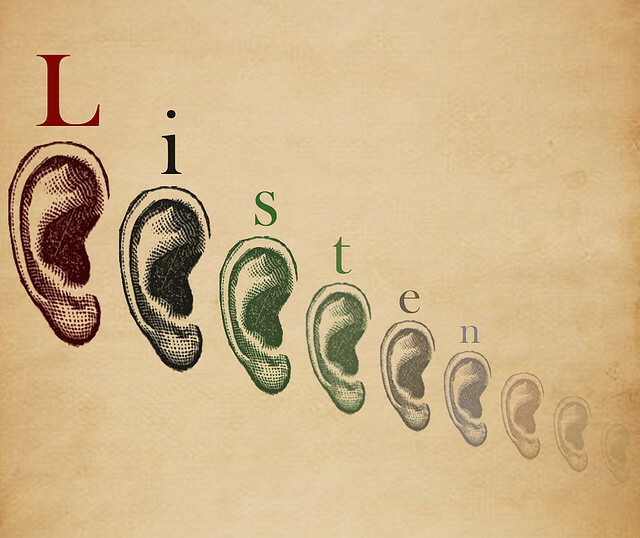 Key takeaway here for marketers: Listen to customers with the intent to understand. When we understand readers/customers, we can better serve them with content and products that they want to engage with. Too often, we listen to customers on social media with only the intent to respond. And customers don’t want to be responded to… they want to be understood. Ron writes: “Dialogue is a wonderful experience. Unfortunately, most of the time we end up discussing topics. The word discussion has the same root word as percussion; Banging the drum; Beating on the table; Clanging the symbol. Discussion is “won” by percussing the loudest or most persistent. Not the best way to reach conclusions on difficult or contentious issues. So why do we discuss rather than dialogue? Because discussing is taking a side, defending your beliefs, getting your point of view across, winning an argument. Dialoguing is being open to others ideas; opening up your mind to alternatives or innovative ideas that haven’t been discovered yet. But, when we listen with the intent to understand we’re preparing for dialogue. We’re getting as clear as we can about the issues, belief and assumptions and goals of each participant. The best way to accomplish this is through curiosity. There are many things in our lives that we’re curious about. When we’re curious about a topic we listen deeply, we probe to improve our understanding, we read as much as we can about the topic, we want to know why and when things happen, we want to know the meaning behind the causes. © Copyright 2019 Apricot Services, LLC.